Last Friday was, as Caroline and others have already said, a very surreal experience. They have already covered the day in detail, so I won’t repeat myself for the sake of doing so, but it was a great relief on Friday evening to receive the news that the dramatic events starting Thursday night had come to an end. To echo my comments from last week, once again the reaction of everyone from the various police forces to students on all campuses was truly inspiring, and although they attempted to blow us apart, the past week has only brought Boston closer together. My thoughts and condolences of course go out to the family of Sean Collier. The facilities at Princeton were fantastic, with a really nice stretch of water modified specifically for a 2000m rowing race. My race was the first up in the morning, and conditions weren’t ideal, with a stiff headwind and choppy water making things a little tougher. 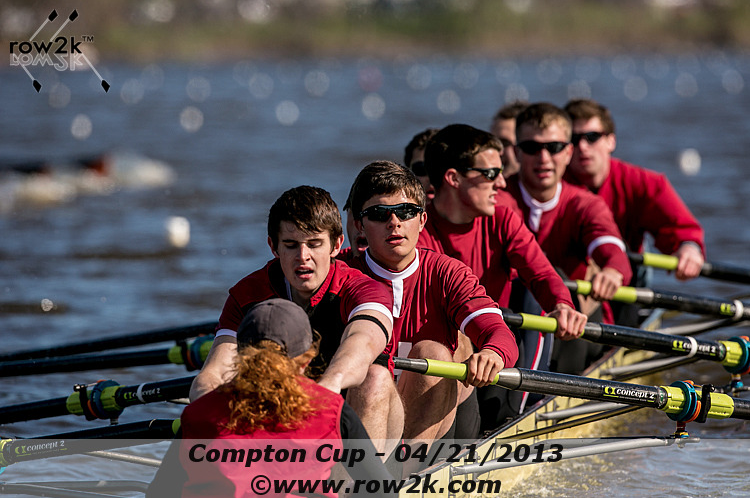 Still, we dealt with it, and had some great racing with Princeton, unfortunately missing out on the win this week. 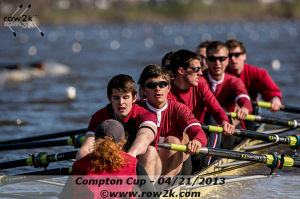 Other boats had more success however, including my friend James’ boat, and the first Varsity, ensuring Harvard kept hold of the Compton Cup. It was then back to the hotel for a very quick turnaround, James and I managing to transition from slightly sweaty unisuit to jacket and tie in less than 10 minutes, shower and packing included. It was a shame to spend such a nice Sunday afternoon cooped up on a coach, but that was the price to pay for a morning of racing, something all of us would agree was well worth it. We now move on to focus on our race next weekend, a three way against Navy and Penn, which will be another tough challenge that I know all the guys are getting pumped up for. It was nice to get away from Boston for the weekend after the events of last week, and has helped me to come back fully focused on school work again: having been away all weekend, and now approaching the penultimate week of lectures, its starting to pile up I can tell you! I still cannot believe I will be flying home from my first year at Harvard in exactly four weeks time, where has this year gone?! 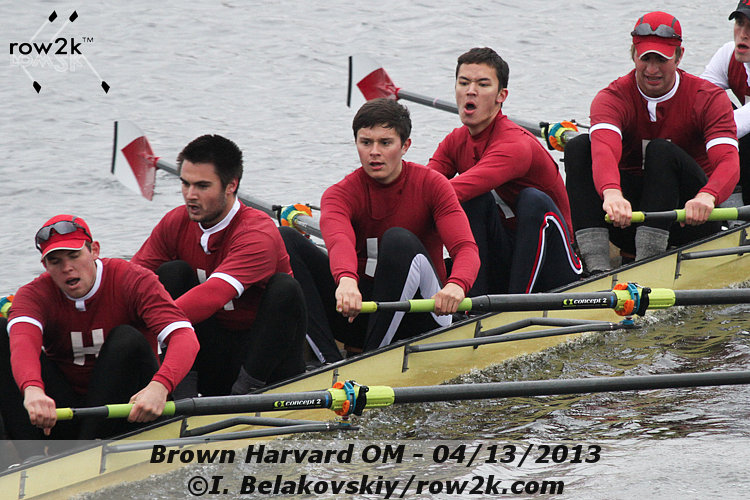 Spring term in particular seems to have flown by, its amazing the difference having Spring Break in the middle made. My plans for the summer have ended up a bit scattered. I was hoping to be working for the financial aid office but was unfortunately unsuccessful, and a potential trip to work in Paris to help improve my French also seems unlikely to go ahead now. I’m planning therefore to spend my freshman summer back home, taking the time to see family and friends, earn a bit of money, and do all the things I wish I had more time to do during the term: read unassigned books, go out cycling and running, and maybe, even maybe, pick up my violin for the first time in over a year. If anything, the events of the past week have shown me just how dangerous continuously putting off the things you want to do in life can be. Really this is a awesome adventure.I like it very much.Thanks for share your feelings.